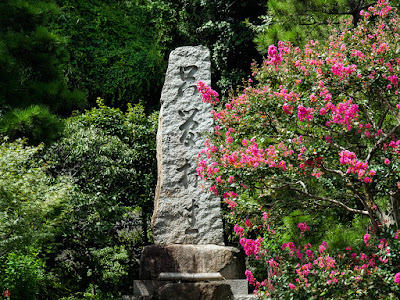 The stone monument, on which the fundamental principle (i.e. "just sitting" or shikantaza) of Dogen Zenji (the founder of the Soto Zen school) is engraved, is shining brightly in the burning sunlight of summer. 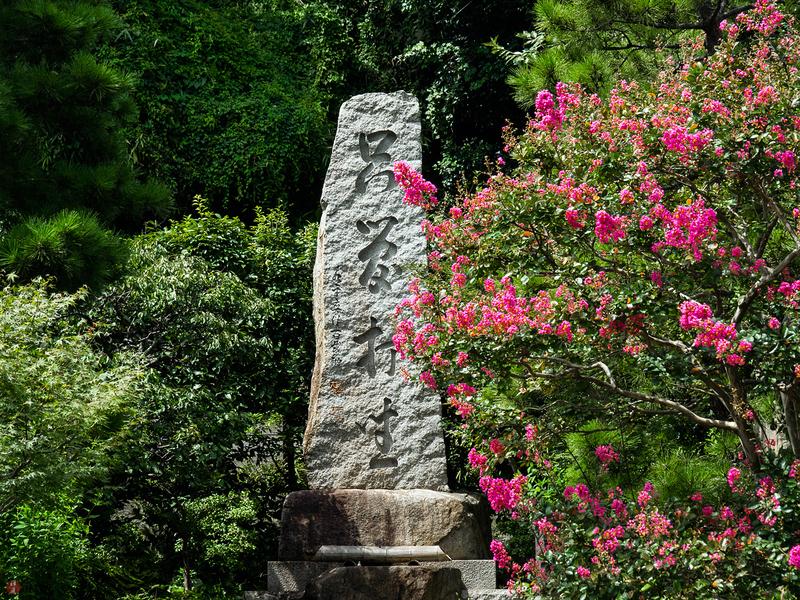 A Saru-suberi (Indian lilac) tree with countless vivid magenta flowers is standing by the side of this monument as if to quietly meditate under the deep blue sky. 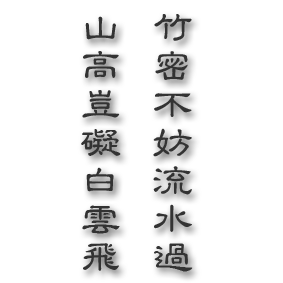 "Just sitting" and "Shinshin datsuraku" (the freedom from body and mind) are the profound doctrines of Dogen, who teaches us the way to experience the ultimate spiritual awakening.